So the final episode of Telltales the Walking Dead has arrived and I’m glad to say that the consistency that they have been keeping with previous episodes carries over into this one. Episode 5 starts off exactly where you left off in Episode 4, in a heated standoff with some unwelcoming Russians. This explosive start gets you straight back into the unknowing fear that comes with every new episode, will everyone make it out of this alive or how will this affect the group going forward etc? What’s interesting about the aftermath of the shootout is how the episode quickly enters into a much calmer state of affairs, a large portion of this episode is angled towards you and the group milling around and partaking in idle chit chat. Now I’m not saying this as a negative I was just surprised that so much of the episode was so calm and easy to play through. The easy going times of course don’t last and this episode does a particularly good job of dropping you in a crappy situation and saying good luck, the same as any other. One moment in particular takes place on a frozen lake and if you’ve ever seen a film or played a game where a frozen lake is introduced you know things aren’t always going to have the happiest of endings. Unfortunately this moment of quick decisions and emotional outcomes was slightly ruined for me by a glitch which caused the game to freeze on me and I had to quit out of the game and restart at the last checkpoint, thankfully this didn’t happen again throughout the episode but it’s still disappointing that it happened at all. My favourite aspect of this episode is the always lingering feeling of there being something horrible just about to happen, that may sound weird but having that sense always there in the background creates some great moments of tension. That’s what I want from any episode of the Walking Dead and this one certainly delivers. So of course one of the most important parts of Episode 5 is how it ends, what happens to Clementine? I won’t be spoiling anything in this review but I will just give my general feelings on how the last few segments of the game play out. When comparing the ending of the first season to the end of this season I’d probably say that season 1 definitely resonated with me more but that’s not to say that the season 2 ending is in anyway bad, it keeps you on your toes and worrying about Clementine up until the very last moments of the game it’s just that when the game fades to black and the credits roll I was not as bowled over as I was when I finished season 1. Overall I was happy with how Season 2 of the Walking dead played out. Playing as Clementine was a great decision on Telltales part and this season has had some truly great moments and I love the fact that the thrills of season 1 have been ramped up and made more intense for this season. 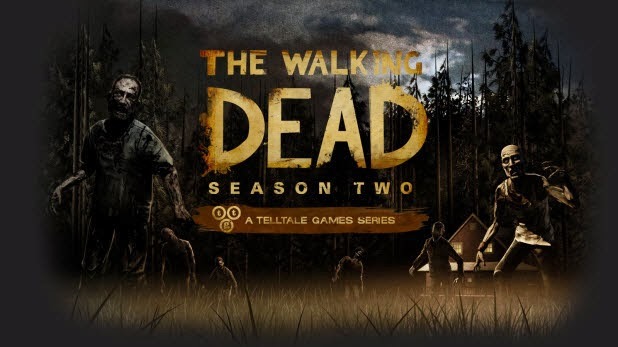 It’s safe to say that Season 2 of the Walking dead is a winner and definitely one worth playing if you haven’t already and if you’ve never played any of this series then that is certainly something you should rectify soon.